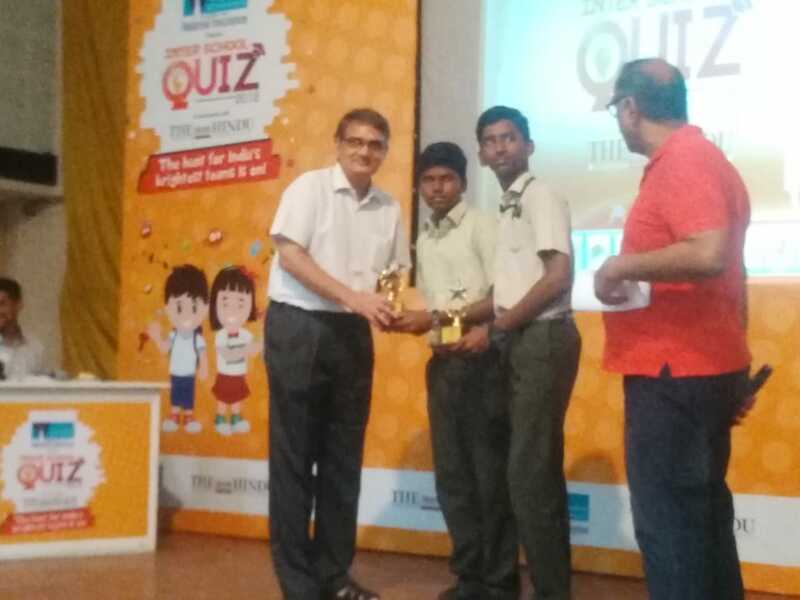 Best moment of Pride in Quizzing – The Hindu Inter School Quiz Contest! 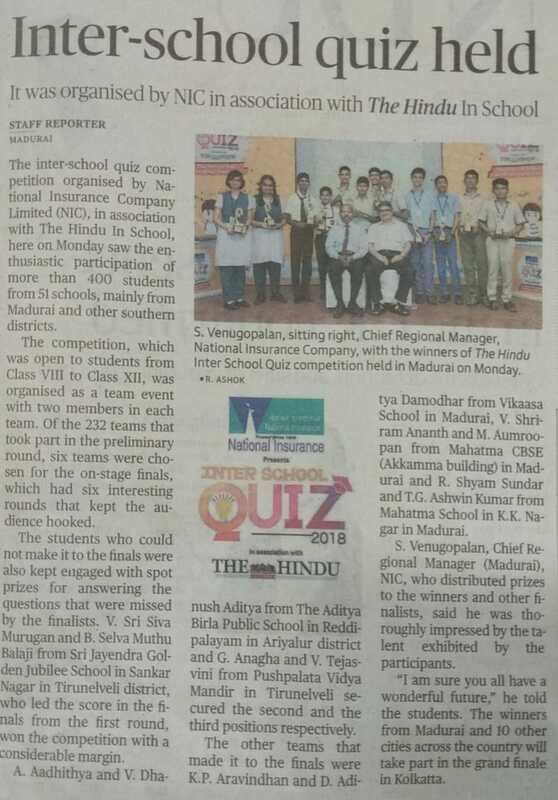 The Hindu Inter School Quiz contest organised by National Insurance Company Limited was held on August 20, Monday in Madurai. 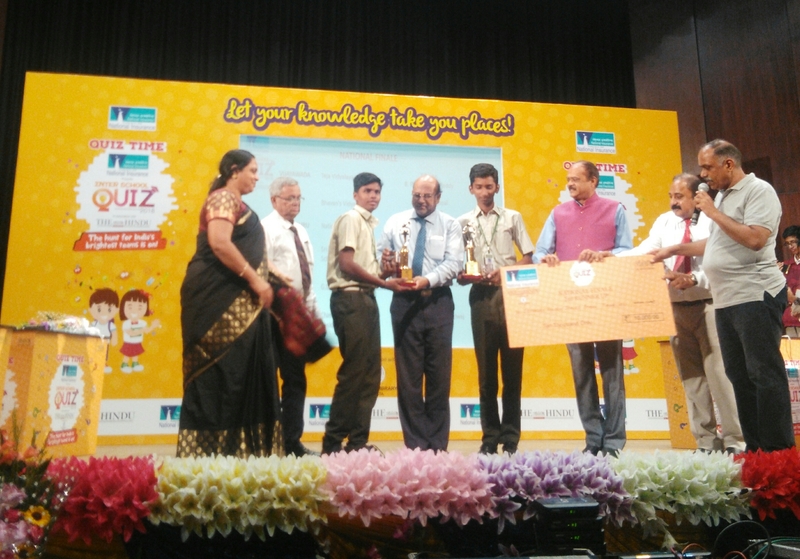 As many as 232 teams representing various schools from the southern districts of Tamilnadu in the written preliminary round answered 25 questions to make it to the top six for the finals. Our students V. Sri Sivamurugan of class 12 and B. Selvamuthu Balaji of class 11 were one among the top six teams to sit on the hot seat. In the Finals right from the question one of first round to the last question of the Final round they led the show and bagged the first place at the fiercely competed event with 70 points above the first runner up. 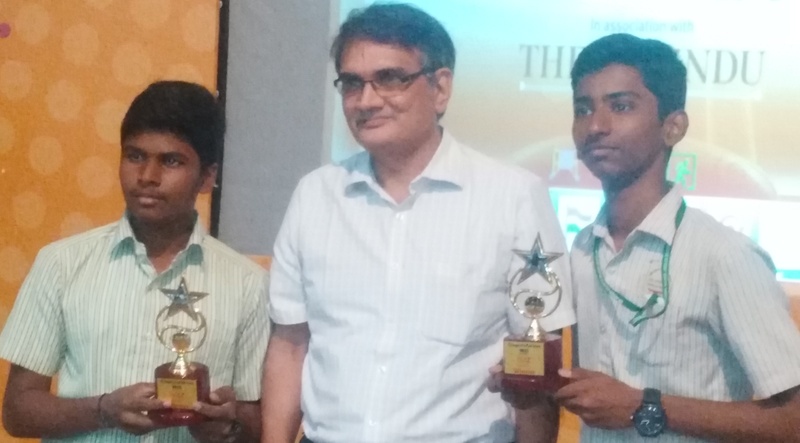 They have brought laurels to our school and the Tirunelveli city and represented the Madurai region in the National Finale held on August 31 in Kolkatta. To our surprise the organisers of the Quiz sponsored flight tickets to us for attending the National Finale. The zonal level was conducted across 12 cities in India and the first place winner from all the 12 zones were present in kolkatta on 31st August, 2018. The Semi Finals was conducted in two pools A and B. We were placed in Semi Final Pool A and battled with toppers of Hyderabad, Mumbai, Delhi, Vijayawada and Chennai. It was a neck to neck show and our students played very well and stood first in the Semi Finals and reached the Finals. The first three places from Semi Finals Pool A and Pool B finally reached the National Finale, the most awaited moment of the day. Every team on the hot seat played very well and the buzzers were alarming continuously even before the questions were completed fully by the quiz master. It almost looked like a battle between the master brains of India. Other teams with us on stage were Kochi, Vijayawada, Bangalore, Coimbatore and Mumbai. 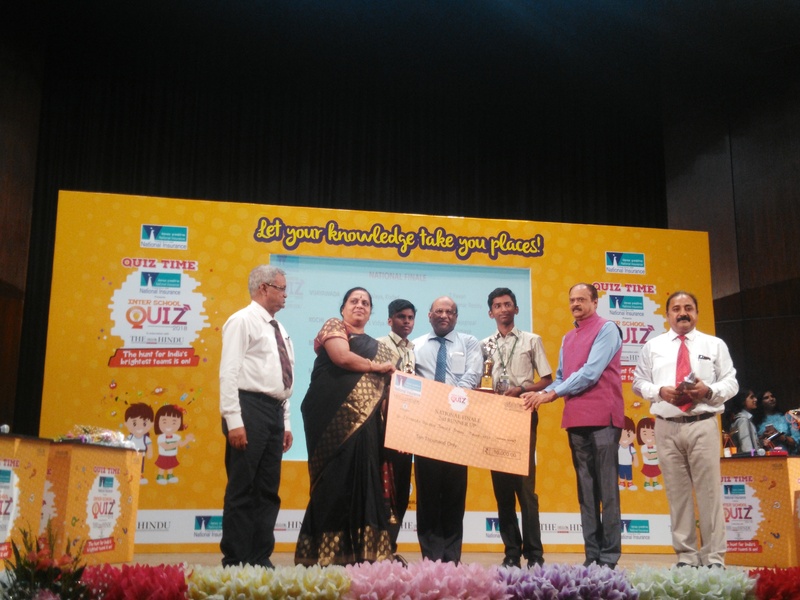 We were able to get the Third Place in the National Finale of this Quiz. The students were awarded a cash prize of Rs. 10,000 , Goodies and memorable flight trip to back home.